The CSD 200, 3M Cogent’s single-digit optical fingerprint scanner, is housed in a durable and compact casing and captures high quality flat impressions in a fast, reliable, and easy-to-learn way. Its advanced optical system enhances ambient light rejection. The standard power USB 2.0 connection allows for easy integration with new or existing applications while eliminating excess cables and the need for an image-capture board. The durable, lightweight, and ergonomic design allows the CSD 200 to be portable without compromising image quality. The CSD 200 is also available in an OEM version. It can be combined with the Cogent SA-4 SecurASIC OEM module to facilitate integration of a bio-metric component into existing or new products. The CSD 200 is FBI PIV-071006 and FIPS 201 PIV certified. The CSD 200 driver includes auto capture, adjustable brightness, contrast, and gain capabilities. 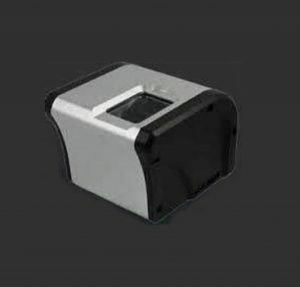 This robust and cost-effective solution has low maintenance requirements and a large active platen area, which make it ideal for network biometric authentication, authenticating biometric travel documents, and identity verification.